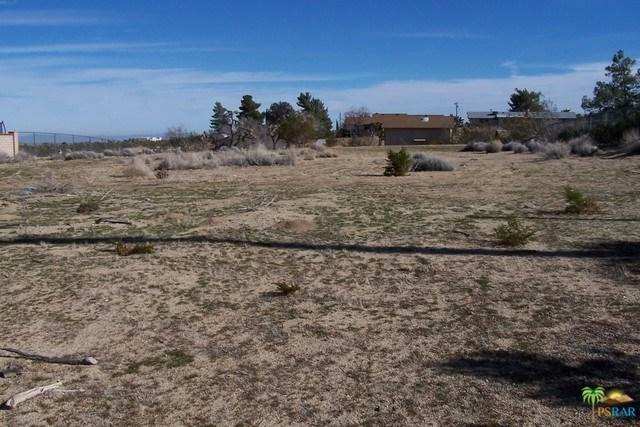 This is a beautiful .96 acre parcel of land located in a community of very nice homes. It is close to all shopping and eateries, on a paved road with water, power and city gas in the street. The views of the surrounding Hills, Mountains and City Lights are very nice from here. Build that dream home and enjoy. This one is a must see. This may be in phase Two of the new sewer system, check with Hi-Desert Water. Owner Will Carry. Don't Wait - Call Now! !